July 2015 saw continued growth in the UK car market, with new car registrations up 3.2 per cent over July 2014. Overall new car registrations have grown 6.5 per cent year-to-date over 2014, according to the Society of Motor Manufacturers and Traders (SMMT), which is predicting total new car registrations of more than 1.5 million by the end of the year. The best selling car in July 2015 was the Ford Fiesta, with 8504 registered, followed by the Ford Focus, Vauxhall Corsa, Volkswagen Golf and Nissan Qashqai. 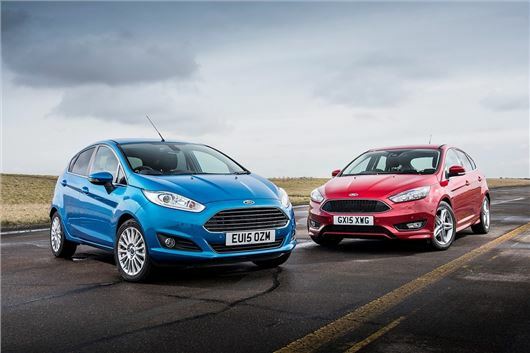 Over the course of 2015 so far there have been 80,494 new Ford Fiestas registered, beating the second most popular Vauxhall Corsa by more than 25,000 registrations. Mike Hawes, SMMT Chief Executive, said, "While more moderate than in recent months, July’s rise in new car registrations is good news, and indicative of what we expect for the remainder of 2015. With demand having reached a record high in the first half of the year, we anticipate more stable growth in the coming months."